China ranks second only to the United States in the number of billionaires, according to an annual report. The Hurun Rich List counted 130 billionaires in China this year. An additional 825,000 people had personal wealth of more than $1.5 million, said Rupert Hoogewerf, who has compiled the list since 1998. He says that the real number of billionaires in China may be twice as high, since many of them avoid publicity. A separate list, released in June by Capgemini SA and Merrill Lynch Wealth Management, found that China's economy grew by 9 percent last year, and the combined riches of China's millionaires surpassed that of millionaires in the UK. Educated people with a cosmopolitan style are doing all right in modern China. There is money to be made, a lot of money. But at a price. And that price is playing the game: knowing how to stay out of politics. 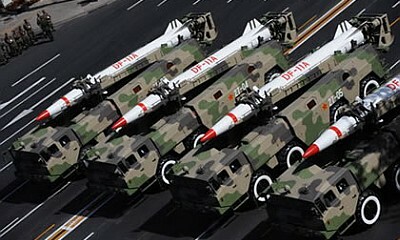 Let the technocrats rule China with a velvet glove, and an iron fist for those who refuse to play the game. Because most foreign journalists, businessmen, diplomats and academics tend to meet educated, privileged Chinese, most reports from China reflect their views. But the main argument for technocracy is that it is more efficient. Once the rulers put their minds to something, nothing and no one stands in the way of success. People who like the idea of strong central government and top-down change are often attracted to the Chinese model. China is often favorably compared with India, with its gross inefficiencies, dire poverty, and huge problems with illiteracy, corruption, and organized crime. Messy democracy, it might seem, is holding India back, while China is forging ahead with ever more impressive statistics. But government by experts is singularly bad at solving conflicts of interest. Individual liberties have increased without the benefits of political liberties. This leads to what old-fashioned Marxists called contradictions. To justify its monopoly on power, the Chinese technocracy relies on the promise of order and constant economic growth. Criticism is unpatriotic. 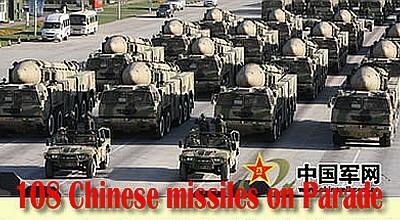 China's rulers cannot be punished by the ruled for their incompetence. China's technocracy is unlikely to last without basic political reform. 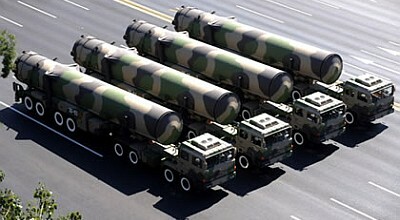 Title picture: These look like CSS-5 missiles to me. for long shelf life and short reaction time. the conventionally armed version of the CSS-5. 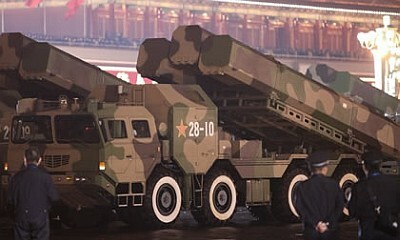 DF-21C uses solid propellant and has a range of 1,700 km with a payload of 2 tons, loaded as single or multiple conventional warheads. 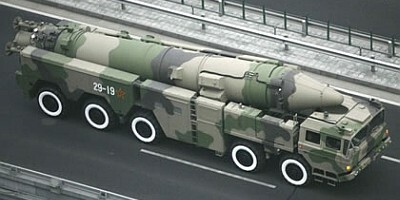 DongFeng 15B (CSS-6) is an improved, solid-fuel, short-range ballistic missile system currently in service with the Chinese Army. AR I'm impressed — but who's the enemy?